One of the most popular videos that I have on my YouTube channel is the one I made for Colombian Soft Bread Rolls. 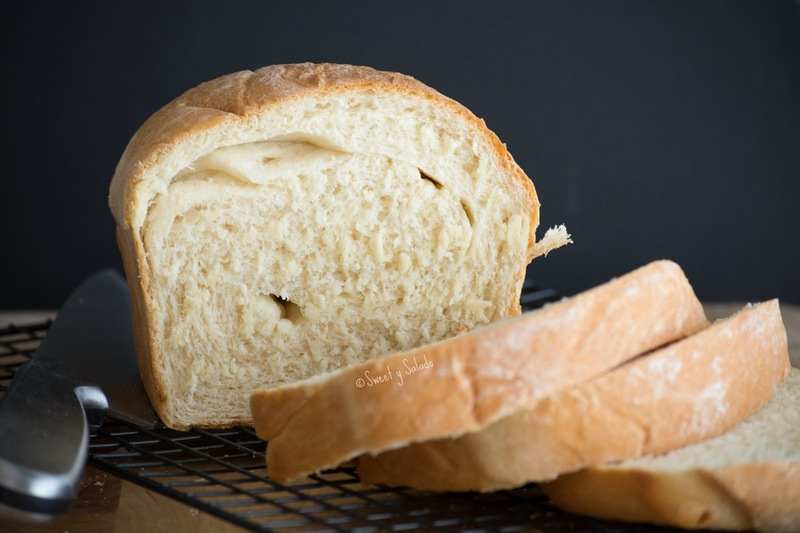 It gets a lot of comments from people who have made it with great success, even if they had never made bread at home. I think the reason for that is because people see making bread as a monumental task but once they make it, they totally see that it’s really not that difficult. The comments that really touch me are the ones that I get from Venezuela. As many of you know, Venezuela has been going through a tough financial situation for many years, to the point where basic food is extremely hard to come by for many Venezuelans. Because of this reason, a lot of them have turned to my YouTube channel to learn how to make basic food, like the Colombian soft bread rolls, and many of them keep telling me how grateful they are for that video. A lot of people from Venezuela have also asked me to make a video on how to make basic white sandwich bread. I have gotten this request countless of times and until recently, I finally found time to make the video. It’s a classic recipe that is really basic, easy to make and the end result is simply delicious. Using a Standing Mixer: Mix water, dry yeast and ¼ tsp of white sugar in a small container and let it stand for about 5-8 minutes or until a foam forms on top indicating that the yeast is activated. Add flour, white sugar, powdered milk and salt to the bowl of a standing mixer and whisk well. Add the yeast mixture. Start mixing with the mixer's dough hook at low speed, then increase to medium speed and let it work the dough for about 8-10 minutes or until the dough is smooth and elastic. If you notice that the dough is a bit dry, you can slowly add more warm water until it comes together. Process continues in step 8 below. Add flour, white sugar, powdered milk and salt to a large bowl and whisk well. Add the yeast mixture to the flour and stir with a wooden spoon or spatula until the dough pulls away from the sides of the bowl. Place the dough on a flat, floured surface and knead with the palm of your hand for about 8-10 minutes. To knead the dough, fold it over and push down with the heel of your hand. Repeat this process during the entire kneading time. The dough is ready when it is smooth and elastic. If you notice that the dough is a bit dry, you can slowly add more warm water until it comes together. Process continues in step 8 below. Grease a 9 x 5 inch (23 x 13 cm) loaf pan with oil, cooking spray or butter. Gently deflate the dough and place it on a flat surface and loosely shape it into a log that is about the same size of the loaf pan. 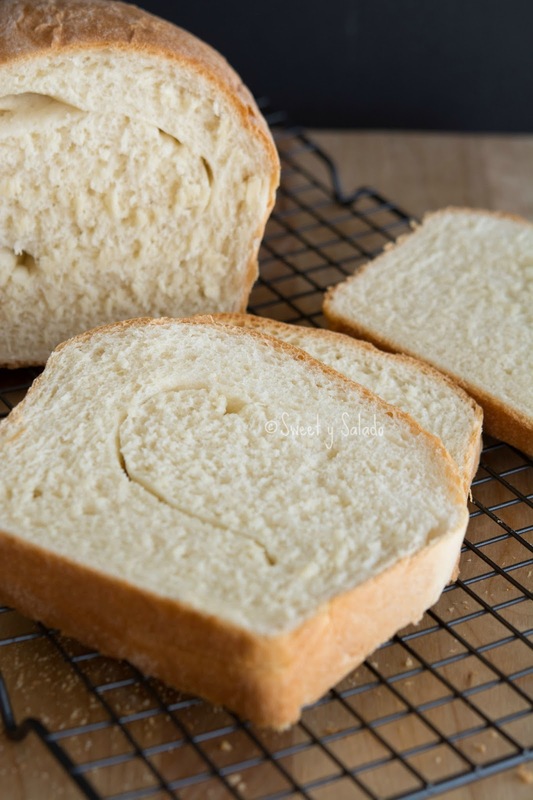 Make sure you pinch every seam that you have in order to avoid cracks inside the loaf of bread. Cover loosely with plastic wrap and let it rise in a warm place until it is about 1-1½ inch (2,54 - 3,81 cm) above the pan. This can take anywhere from 45 minutes to 1 hour (although in hot weather it has taken me less time). While the dough is rising, pre-heat the oven to 350ºF (180ºc). 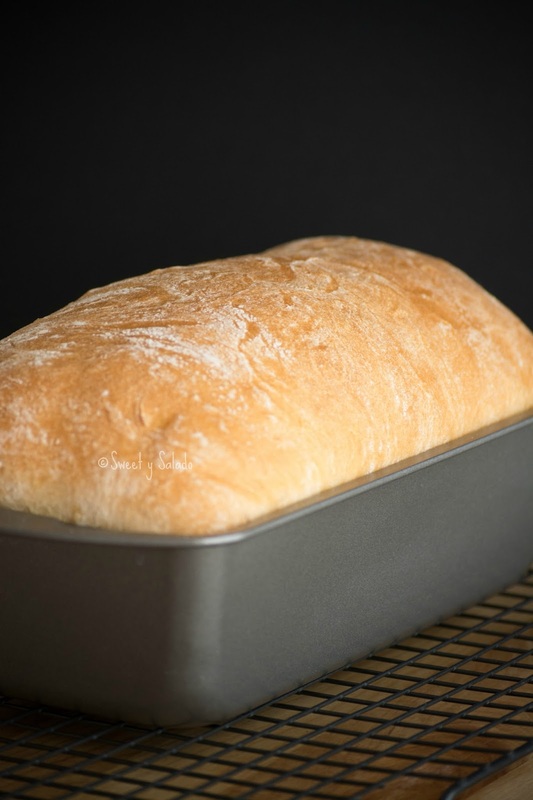 Bake the bread for 20 minutes, then cover with aluminum foil and continue baking for another 15-20 minutes. The inside temperature should be between 195ºF - 200ºF (91ºC - 93ºC). 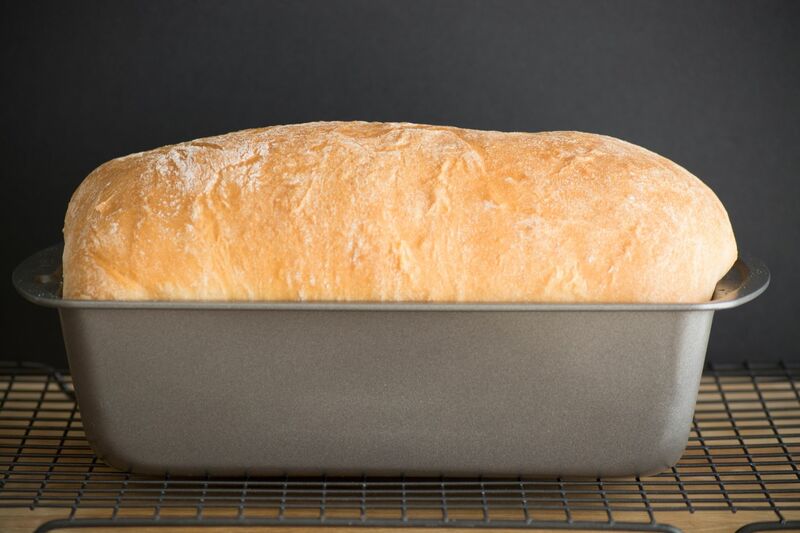 Let the bread rest for about 10 minutes inside the pan and then take it out and let it cool on a cooling rack. Wow Wow… what an excellent clicks, am drool over here… Am yet to do the sweet bread. Can I remove the powdered milk and instead replace some of the water with actual milk? You can substitute the water with milk, preferable with whole milk for better flavor. Hi! I've made this recipe a few times now and love the simplicity. This weekend I made a comparison of different flours (100% white, 50/50 white-wholewheat, 100% whole-wheat). I also had an issue with my seam in the white bread so that's something to improve on next.